No fair isle knitting here! 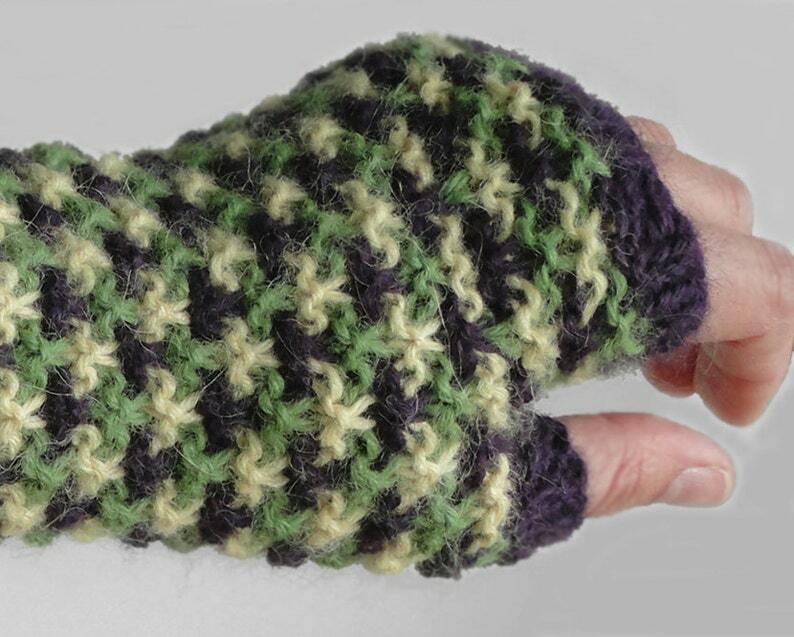 I designed this tri-color fingerless mitten pattern by knitting only one color at a time. Detailed written instructions are given. My gauge is about 5 sts per inch using size US7 needles, which creates mittens that fit a women's medium to large hand. Choose a smaller needle size to make smaller mittens. Techniques used include knitting in-the-round, K, P, K in the front & back loops to increase, K2tog, and slipped stitches. You are welcome to sell the finished product that you make using my pattern.